Join Crystal Sands, writing and literature teacher, as she leads a lively poetry activity with a little art and a lot of fun, featuring one of the poems from the children's poetry collection, Why the Moon Tumbled Out of the Sky. 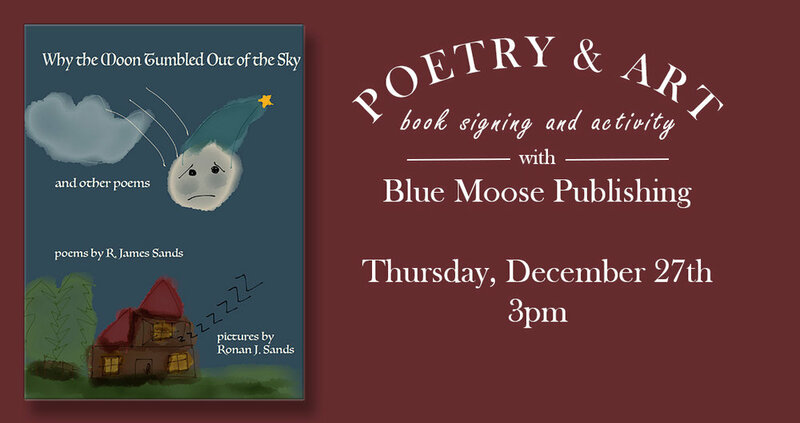 Written by local author R. James Sands and illustrated by his young son, Ronan Sands, Why the Moon Tumbled Out of the Sky provides young readers with a whimsical journey through the Maine seasons. Children will get an opportunity to engage with poetry through art and then meet the author and artist for a book signing after the event. Bring your creativity and your love of poetry!